The Decatur Public Library welcomes the use of the Gates Computer Lab by organizations engaged in religious, charitable, scientific, literary, or educational activities. The library’s Internet policy applies to all users of the Gates Computer Lab. Requests for use of the Gates Computer Lab must be made at least one week but not more than one year prior to the meeting date. The request should be submitted on the form provided by the Library. The Gates Computer Lab can be booked tentatively by phone, but the completed application must be received within three (3) working days. The Gates Computer Lab is normally available at all hours the library is open, up until 15 minutes before close. The Gates Computer Lab can be booked for up to four hours. Seating capacity in the Lab is twelve plus a trainer. 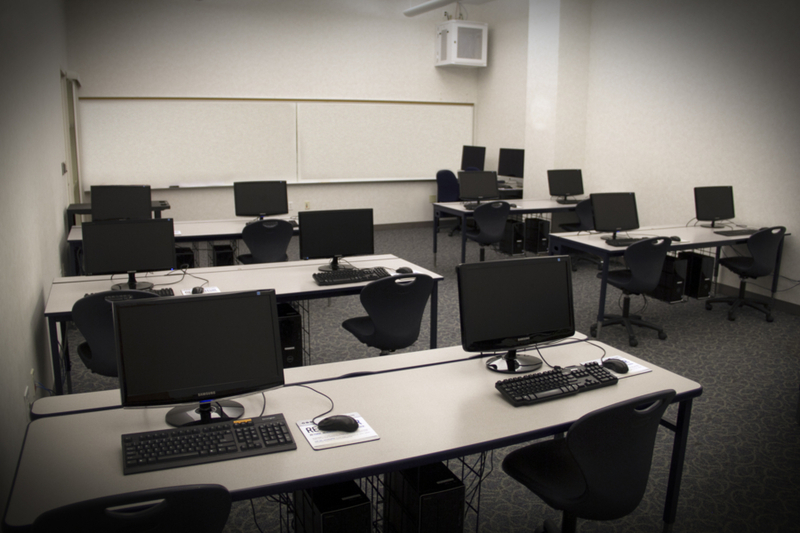 Organizations may use the Gates Computer Lab as many as twelve times per calendar year. The Library is not responsible for personal belongings left in the Lab. Free on-site parking is available. Participants are encouraged to park in the back of the lot so as not to inconvenience library patrons. Any organization not abiding by the regulations and policies governing the use of the Gates Computer Lab and the library’s Internet policy may lose their privileges of use in the future. Any software/hardware changes must be approved & executed by library staff.